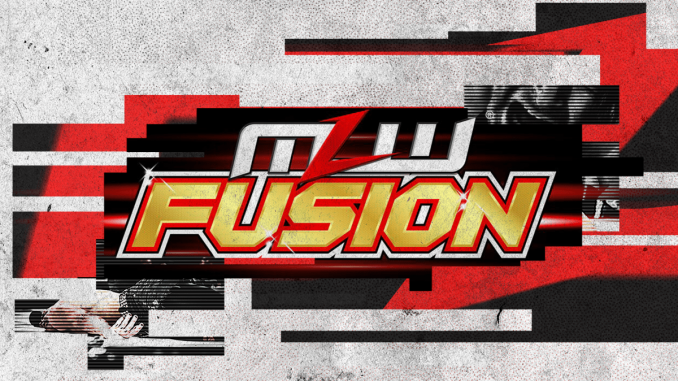 John Pollock's review of MLW Fusion featuring a lengthy match between Rush and Shane Strickland and The Hart Foundation vs. The Dirty Blondes. -Rush and Shane Strickland had a lengthy match at the start of the show. Rush interrupted Strickland who was insulting Miami and said he only came here because he was paid a lot. They went into the crowd where Rush threw a trash can at Strickland. In the ring, there were lots of pin attempts with the prevailing story of Strickland’s frustration after hitting Rush with everything. Rush has great timing and didn’t need dozens of big moves but just maximized the key ones and milked them for the reaction. The audience responded in kind and the charisma is so evident watching Rush. In the end, Rush hit the Rush Driver to win the match. They didn’t promote the L.A Park match that was scheduled for April 4th, but the match was taped when they were building to it with Rush defeating the former MLW champion. -They began running promos for Mance Warner on last week’s show and they continued. -Ace Romero defeated Ariel Dominguez with the enormous size discrepancy in Romero’s favor. Dominguez, who looked like Joseph Benavidez, got in a few strikes before Romero came off the ropes and splashed him. Barrington Hughes was on commentary to promote a future showdown among the super heavyweights. His audio was so low it was nearly impossible to hear him. -Kaci Lennox interviewed Low Ki, who is celebrating his “15-year unbeaten streak” in MLW. It’s one thing for Low Ki to use that streak as a heel line, but for Lennox to treat it as this incredible accomplishment for a company that didn’t run for 13 of those years, is humorous. -Ricky Martinez defeated Gringo Loco in a short match with help from Salina De La Renta. Gringo Loco hit a superplex and turned it into a Michinoku Driver in mid-air that Martinez kicked out of. Gringo Loco followed with a cutter off the turnbuckle for another near fall. Salina De La Renta pulled Martinez out of the way of a corkscrew by Gringo Loco and Martinez hit a gutbuster off his shoulders for the win. It was a quick match and Gringo Loco had some nice offense off the turnbuckle. -Tom Lawlor cut a promo and called out Low Ki for his 15-year unbeaten streak and hasn’t been impressed, maybe he looked him up on Cagematch. He called De La Renta “Salina the Teenage Witch”. -The promoted the next live special on Saturday, February 2nd a one-hour version of SuperFight from the 2300 Arena in Philadelphia featuring The Lucha Brothers vs. The Hart Foundation for the MLW tag titles. -In the main event, The Hart Foundation defeated The Dirty Blondes after Davey Boy Smith Jr. hit a superplex in honor of the late Tom Billington and got the winning fall on Leo Brien after a springboard clothesline delivering by Pillman. I like the Dirty Blondes, they are managed by Col. Robert Parker and just an old-style Southern tag team that work an older style, cutting off the ring and have the perfect look for what the team is aiming for. It was a short match with the added stipulation that if the Dirty Blondes won, they would be added to the tag title match at SuperFight to add some stakes. -Next week’s show will feature LA Park facing Sami Callihan with Salina De La Renta vowing revenge on Callihan for his failure to take out Tom Lawlor last week. Next week’s show will also feature the return of Kotto Brazil after the bottle attack a nightclub! -This week’s show was highlighted by the opening match with Rush and Shane Strickland and took up a lot of time on the show. It was a very good television match, although put together prior to the news of Rush signing with MLW, which will probably have a big impact on the next two weeks of television, which were also shot prior to the signing. There is a lot of great talent on this show that I can foresee garnering lots of interest elsewhere and I’d place Salina De La Renta high on that list, she is excellent in her role.